Oof! The spring anime season was a rough one. There's a lot to like from the Spring, but few shows have held my attention. Big example: out of the handful of anime Exclusively streamed on Funimation, I have not continued to watch a single one of them. 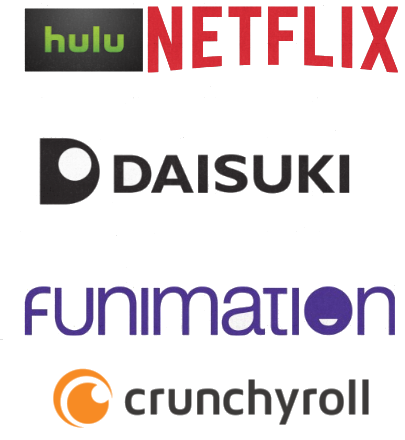 Luckily, their biggest show this season is available on Hulu, so I wont have to worry about going to Funimation.com to watch anime I like. Like I said, this is rough. Luckily, I know which shows are worth watching. Kuromukuro is the latest anime to be kidnapped by Netflix and held hostage until they have an English dub for it. That's Netflix' scheme, and they're sticking to it. I hope it's worth the time spent waiting for it. Probably not. It's about an angry samurai mecha pilot or something. It's hard to do a mecha show that's novel, when everything's been done already. Kabaneri of the Iron Fortress is one of the most hyped, buzzed about, and beloved anime of this season. It's also behind Amazon's paywall, their Prime membership. Prime's not a big hurdle; they give out free trials like water. I just don't want to feel rushed to see an anime, and I have other things to catch up to. Plus, I'm already paying for Hulu, Netflix, and Crunchyroll. Is Amazon going to request my attention as well? Kabaneri was created by team members from the Attack on Titan anime, and that is where the jokes about it being Attack on Titan on a train started. Yes, there are connections you can make between this show's plot and Titan, but I hear that it's so incredible I will not care. When I totally gorge on this anime, I'll tell you if it is really that good. 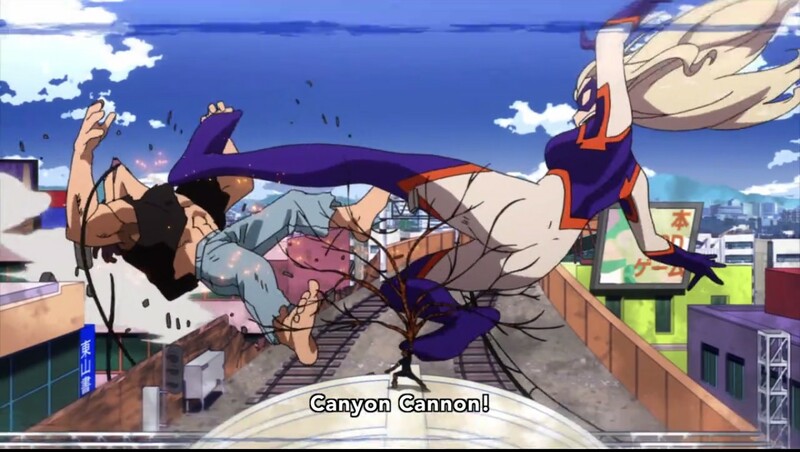 The Ushio and Tora train rolls on, but I haven't been keeping up with it! I loved Ushio and Tora for the first season, but now there's so much to watch that I don't know when I'll get time to watch it. We're up to the fourth season of JoJo's Bizarre Adventure, and our Fourth JoJo. 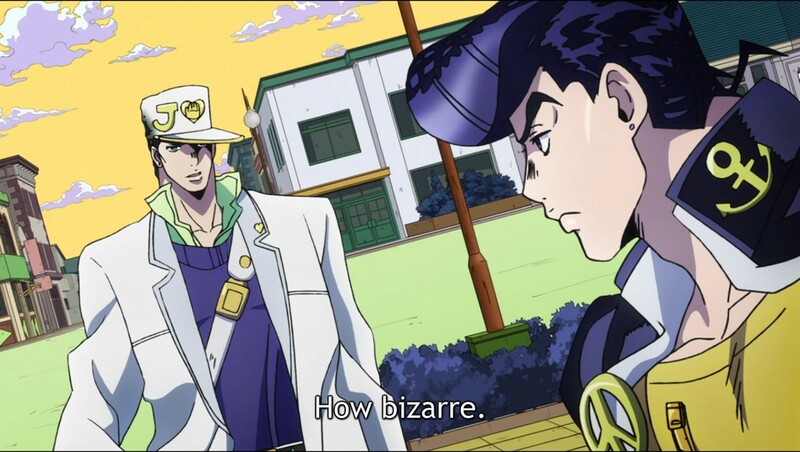 Our new protagonist is Josuke Hishigikata (How he's called JoJo- don't ask) and he's just as eccentric as the people in his bloodline. He lives in what used to be a quiet little town, but has now become a haven for...the bizarre. It's great, so if you STILL haven't watched a single episode of this series, please correct that mistake. It has Lost in the title. It's about a remote area where strange things happen. It has a very large cast. Hey, is this just a Japanese interpretation of Lost? I wish it was, or at least I wish it was more of what made Lost interesting. The Lost Village is a waiting game. You're waiting to learn what the secret of this village is, and why these people were drawn to it. In the meantime, the plot and characters are just...whatever. I will watch The Lost Village straight through, but I don't have much faith that I will be satisfied by its ending. At least the OP song is great. Flying Witch, although it takes place in a world where the supernatural and normal coexist, is a very normal anime. 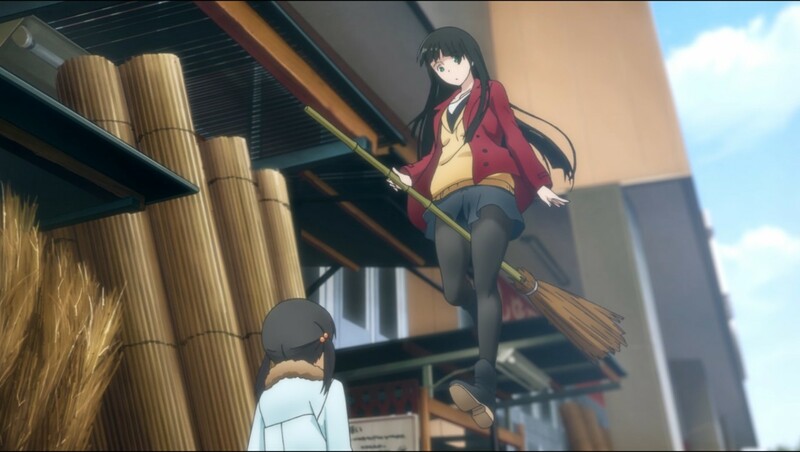 Makoto Kowata, our flying witch, comes to live with normal relatives in a little village. She's inexperienced, so crazy stuff is bound to happen. I haven't watched much of Flying Witch, but I thought it was funny. 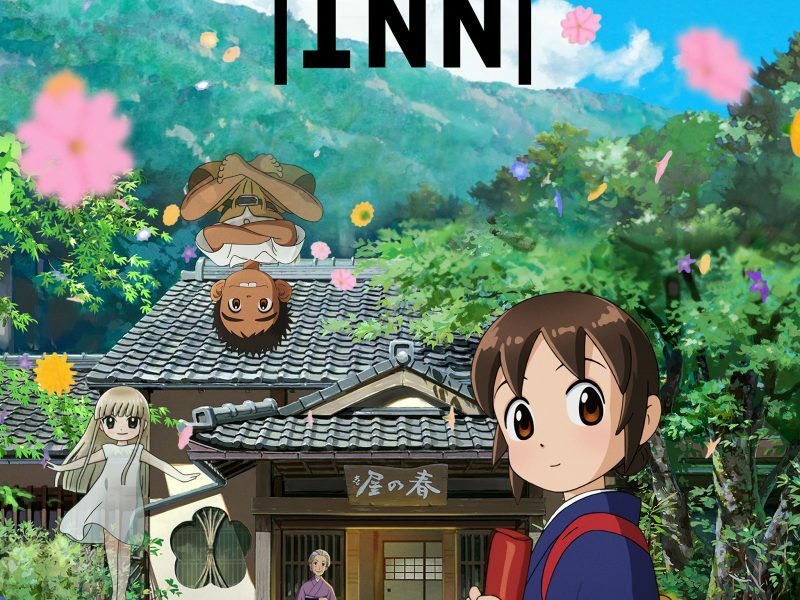 It's worth watching, but the show is so quaint that I don't feel in a rush to finish it. 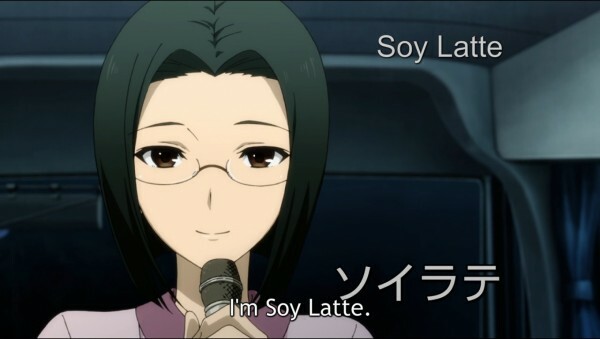 Some comedy anime are built on a single joke. The problem with that is you might bore your audience with that same joke week after week. Sakamoto succeeds in going with a single gag, but using the gag in such refreshing ways that it doesn't get stale. The show revolves around its namesake, a high school student who is so incredibly perfect that nothing can make him look bad or tarnish his reputation. If you pull out his chair, he'll simply sit in mid-air. If you try to throw an eraser at him, he'll catch it. As long as they can write funny jokes, you can entertain an audience with a one-note joke. 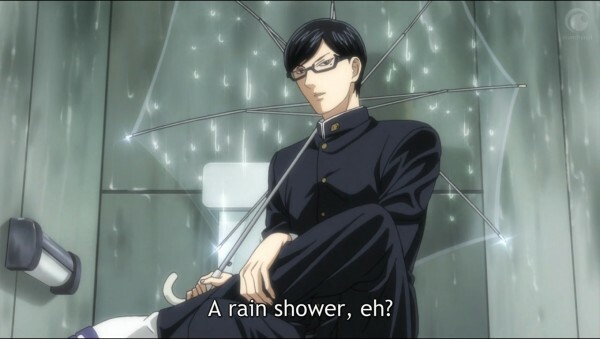 The problem for me is that Sakamoto is like a sketch comedy character. He has no growth, so it has been easy to forget to watch the show, in favors with shows that have a plot. I like Gundam. I thought that last season's Iron Blooded Orphans was incredible. So how could Gundam Unicorn not get the same level of praise? I don't know, man. 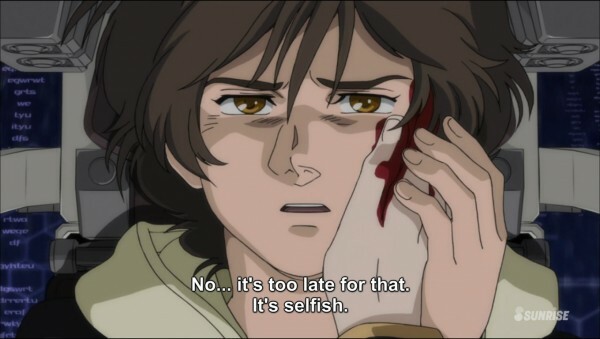 I think IBO strayed far enough from the Gundam formula that it spoiled me, and going back to a show that resembles so many other Gundams was not what I wanted to do. Gundam Unicorn looks great (it's the Gundam Unicorn film chopped up into a series) but I think I need some space from Gundam before I can enjoy it. Tonkatsu Hero Agetaro is ugly and poorly animated. That's not why I forbade it from my best of list. It doesn't make my best-of because it's only a silly show. Agetaro is the son of a restaurant owner who finds out that he loves DJing. He gets into a lot of silly shenanigans and hangs out with a lot of colorful people. 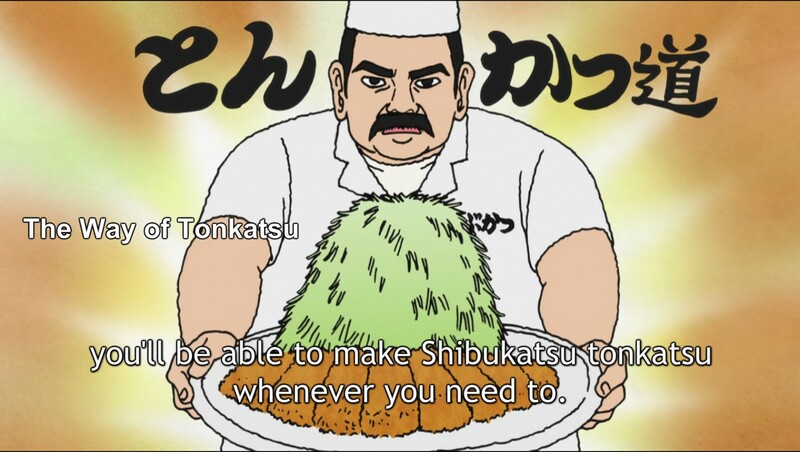 Tonkatsu Hero Agetaro is a short anime, meant to enjoy between two regular length anime, so these shows are typically not the best of the best. It's hard to reach a high level of quality when you are constrained by time and budget. 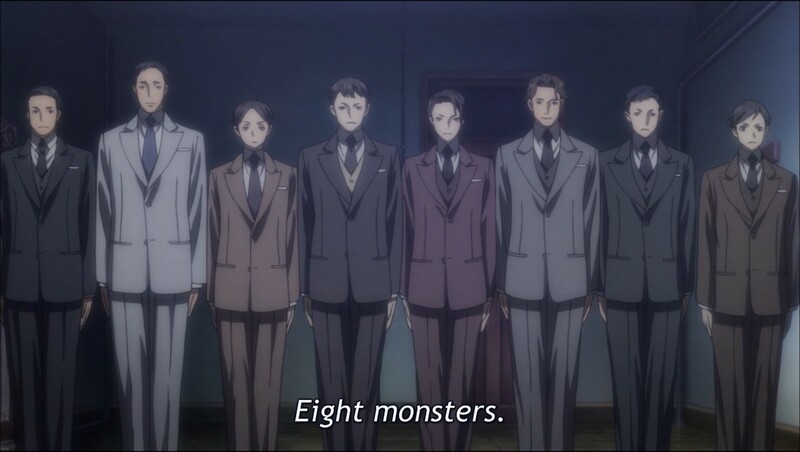 Joker Game is probably on a lot of best of lists, and I would think that it would make mine, too. The drawback for me is that we are introduced to a group of spies, and I mistakenly imagined that these spies would meet each other more often. Instead, Joker Game is a series of spy tales starring the characters introduced in episode 1. I have enjoyed every episode of Joker Game I've watched, but I just cannot give it too high praise. Trigger has two shows this season, and Kiznaiver, a series with full-length episodes, is the lesser of the two. Kiznaiver is about a group of students, most of whom don't know each other. They are brought together by an ability thrust upon them all. Now they are Kiznaivers, cursed with feeling each others' pain. 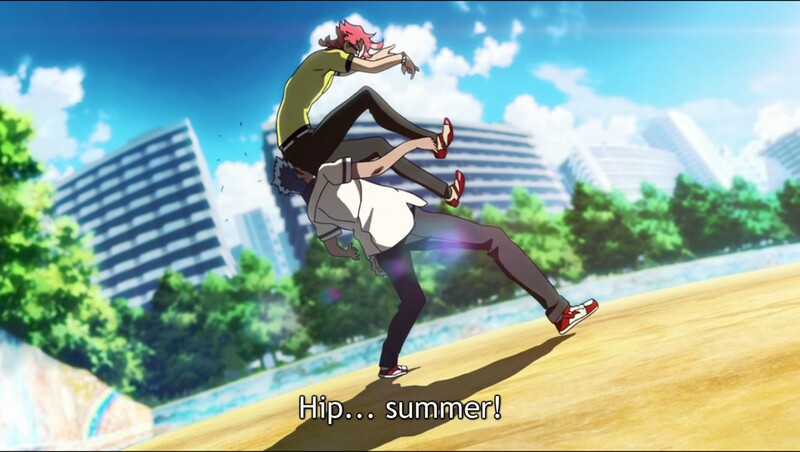 Kiznaiver is only a runner-up because it hasn't really gone anywhere in the episodes I've watched. 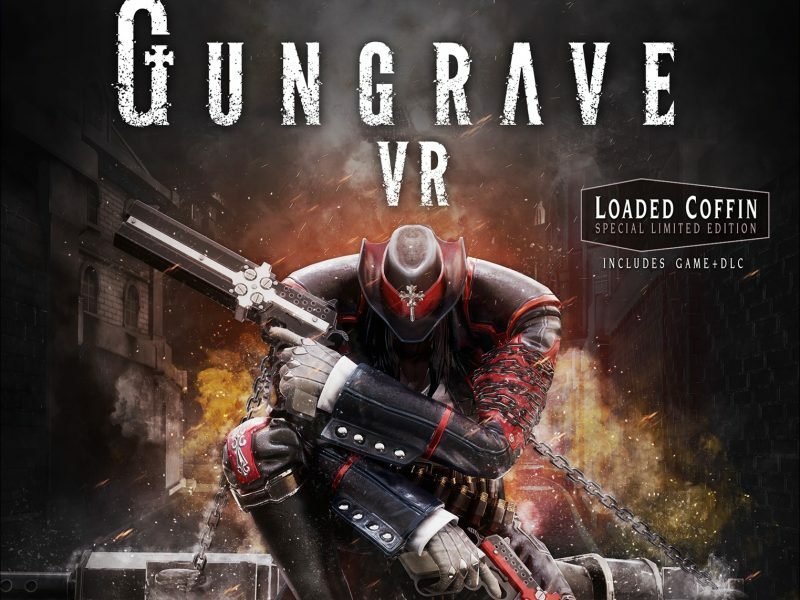 It's fun and silly, and I like some of the characters, but it feels like a death game with no death, a group of people forced together as lab rats for a weird experiment. Manga fans knew what to expect of Bungo Stray Dogs, but I did not. For my fellow clueless folk, Bungo Stray Dogs is about a quirky collection of people who work for a detective agency, but there's more to it. All the members actually have abilities. The meta of Stray Dogs is that most of the major characters are named after literary figures. It's fun to learn a little on the side after enjoying a show. 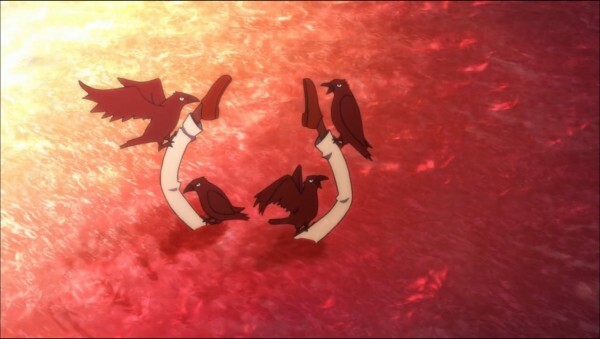 Bungo Stray Dogs is very silly, but serious when it has to be. That is why I enjoyed the Getbackers anime so much, and I think that is why I like Bungo Stray Dogs now. I love shows that can handle comedy and action well. 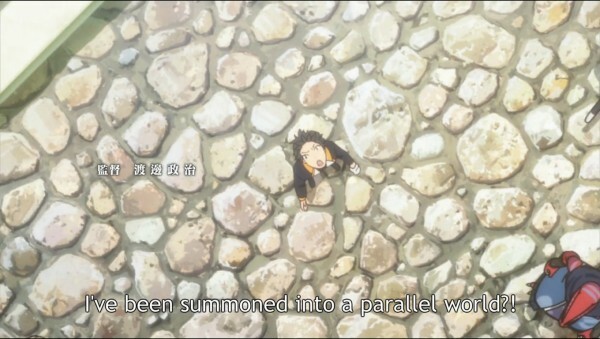 We have had a lot of "sucked into another world" anime recently. Maybe we've had too many! Let's hold off on banning that concept, though. RE: Zero proved that if you have enough of a unique hook to your show, you can stand above your tired concept. RE: Zero does that, so I decided to give it a chance. It is also well animated, which the show needs for its intense fight scenes. 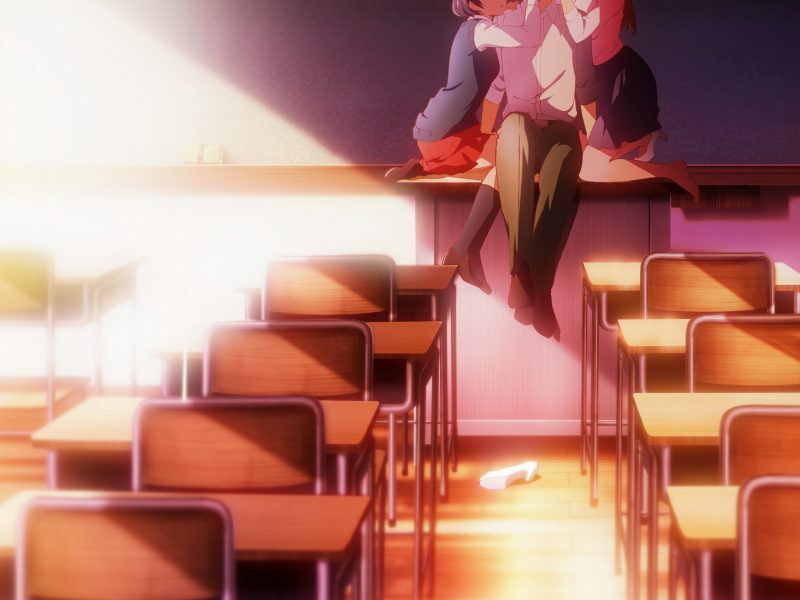 I am SHOCKED that this short anime from Trigger is my second favorite anime of the season. I have loved short anime in the past, but I loved Space Patrol Luluco so much that I wanted it to become a regular length series. Space Patrol Luluco is Crazy Trigger, which is way different than the people at Trigger who created Kiznaiver. 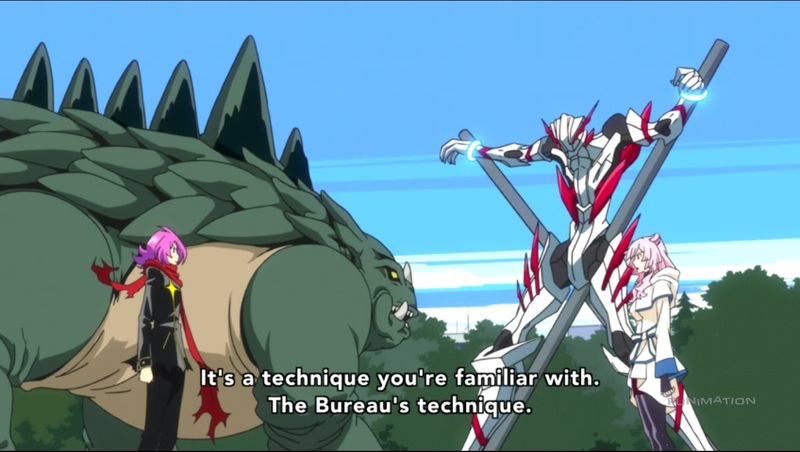 Even though people morph into guns, there's a dude who looks like Infero Cop, and a dad who is frozen and in pieces but alive, Luluco still has heart. 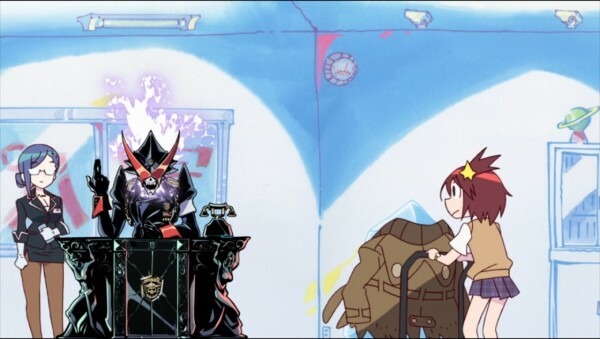 Space Patrol Luluco is really a love story, and I think it's a pretty effective tale of two young people from very different parts of the galaxy. If it weren't for the final anime I'll be talking about, Space Patrol Luluco would be my top anime of the spring. I miss One Punch Man, and I'm not going to watch Kabaneri of the Iron Fortress yet. So what is an anime fan to do? Watch My Hero Academia! Yes, there is another superhero show in town, and it has a very different tone than One Punch Man. If One Punch Man is the story of a man bored of his godlike status, My Hero Academia is the story of someone still amazed of all the amazing things that are possible in a world full of superheroes. If you needed more emotion to your superhero show, My Hero Academia is definitely delivering it. My Hero Academia is my #1 anime of spring 2016, and I can't wait for season 2! So, summer season is upon us! What will excite us? What will fail? What will be boring? I will definitely give you my 2 cents on it.